Most auto insurance policies impose per-person or per-accident limitations. This is typically a pretty straightforward issue. However, a dispute about how many “accidents” occurred can leave a big question mark as to how much claimants are entitled to receive. 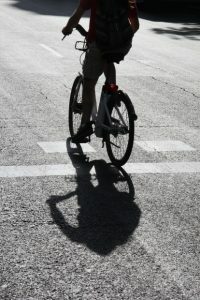 In a recent bicycle accident injury case before the Wyoming Supreme Court, plaintiffs were suing a single driver after an incident wherein they were riding bicycles together and both were struck by defendant driver operating a car. One bicyclist died and another was seriously injured. 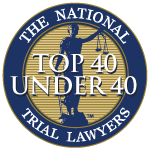 They had uninsured motorist coverage through their own carrier, which had a policy extending $300,000 in damages per accident. That would mean no matter how many claimants, the insurer would only pay out a maximum $300,000. Plaintiffs, however, contended they were each entitled to a maximum $300,000 because there had actually been two accidents, not just one. While the trial court granted summary judgment to the insurer, the state supreme court found the record insufficient to conclude there had only been one accident. The case was remanded for further proceedings. According to court records, plaintiffs were riding their bicycles together when they were struck by defendant driver, who was not insured at the time. Thereafter, surviving cyclist – for herself and also as personal representative of decedent’s estate – filed an uninsured motorist claim against their insurer. The policy provided up to $300,000 per person/ accident. Insurer contended the injuries were the result of one bicycle accident, meaning there was a maximum $300,000 in coverage. District court granted summary judgment to insurer. When the Wyoming Supreme Court reversed, it took careful note of the facts as presented before trial court. Surviving cyclist had been riding some 30 feet in front of her husband, with both on the shoulder of the road, within the emergency lane and out of traffic. The crash occurred shortly after noon one day in May 2014, when defendant driver in a minivan approached traveling the same direction at approximately 50 mph. Her vehicle entered the emergency lane. The left front of her van struck decedent from behind, throwing him from his bicycle and onto the roof of the minivan. Driver of the minivan then continued to travel in the emergency lane for approximately 30 feet before striking surviving cyclist, who was struck from behind. Cyclist was pushed by the minivan until it came to a stop, with cyclist remaining on the hood. There was approximately 1.5 seconds that passed from the time decedent was struck to the time surviving plaintiff was struck. It was later determined there was no mechanical failure with the van or the bicycles, the roadway was in good condition and the weather was not a factor. UM carrier agreed to pay $300,000 and deposited this amount for the full policy limit with the district court. However, plaintiff argued she was entitled to up to double that amount because there were two separate accidents. The state high court considered the accident theory accepted by Wyoming, which is the cause theory. This asks whether there was a single proximate uninterrupted and continuing cause that resulted in all injuries and damage. The trial court had taken this into account, noting the temporal and spacial considerations, noting the vehicles were 30 feet apart and the accidents happened within less than two seconds of each other. The court did not, however, take into account whether defendant driver had regained control of the vehicle in between the first and second hit. The state high court held the element of control has a significant impact on the determination of whether there is more than one accident. The court remanded the matter to the lower court for consideration of this issue per the cause theory.